Made in Chelsea will return to screens tonight at 9pm on E4. The popular reality series will be making a comeback this evening, and this time the Chelsea gang will be back in their hometown after filming the last instalment in sunny Ibiza. Series 14 will see the return of Sam Thompson, as he is finally forced to face his ex-girlfriend Tiffany Watson following his Celebrity Big Brother romance with Amelia Lily. 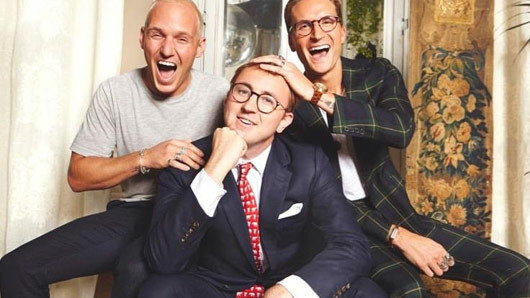 Jamie Laing and his now ex-girlfriend Frankie Gaff will return once again, as well as favourites Oliver Proudlock and Francis Boulle. Of course, we can also expect appearances from original stars Victoria Baker-Harber, Mark-Francis Vandelli and Louise Thompson. And if all those ex reunions weren’t enough to get you excited, the new series will also welcome some fresh faces on to the show! Made in Chelsea returns October 9 (Monday) at 9pm on E4.